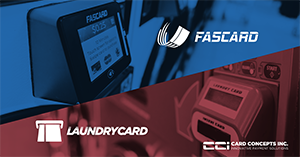 Download the free profitability guide for Laundry Business Owners from Card Concepts, Inc. Opening a Laundromat can be a rewarding investment that is both profitable and gives you the freedom to run a successful business without being tied to an office all day. This is a great fit for professionals and investors looking for a more hands-off investment opportunity or for those who simply want the freedom that comes from running a business that doesn’t require being onsite or managing many employees. In this free eBook, From Novice to Veteran: The Owner’s Guide to Profitable Laundromats, we will hopefully answer many questions about owning, operating and investing in a Laundromat for both the budding and experienced Laundromat owner. * By submitting this form you agree to allow your information to be accessed by Card Concepts, Inc.. Complete this form to receive your free guide. Submitting this form will direct you to a page where you will be able to download your free guide. You will also be added to Maytag Commercial Laundry's contact list to receive communication from their organization.